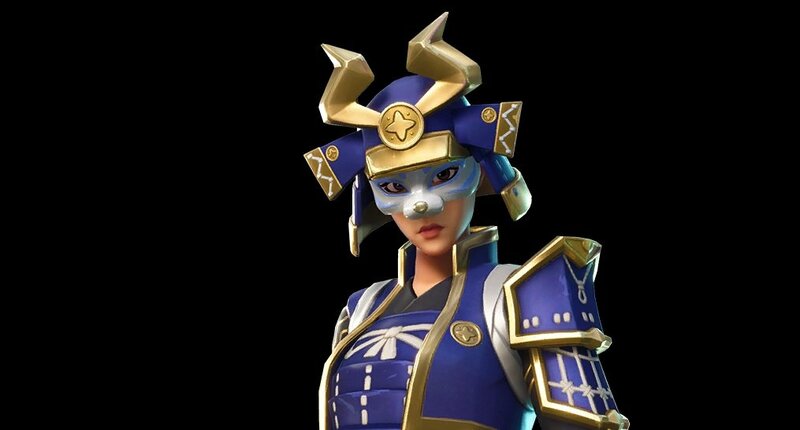 Epic Games has officially revealed Fortnite's new Bushido-inspired Hime legendary outfit and Sashimono Back Bling skins. Following up on a data mining venture into the Fortnite update version 5.30 data files, the crew at Epic Games has at long last officially unveiled both Hime legendary outfit as well as the Sashimono legendary back bling. These join the ranks of the Musha and Enforcer skins to help round out Epic's latest Bushido-inspired outfits. When do the Hime legendary outfit and Sashimono Back Bling release? Even though the new Bushido skins have just recently been formally announced, there's still no telling just when they'll actually become available for purchase. Fortnite swaps items into and out of the Fortnite Item shop every single day, and players will simply have to wait and see when the Hime outfit and Sashimono Back Bling become available. With that said, we do know that the both the Hime outfit and Sashimono Black Bling will be counted among the game's legendary offerings, meaning Fortnite players can expect to drop 2,000 V-Bucks for the privelege of owning them. However, there's still a chance (albeit a slim one, by our guesses) that both these new offerings or all of the new Bushido-inspired items could be offered up as rewards for participating in various Season 5 Battle Pass challenges. There's always something new landing in Fortnite, and players can stay on top of Epic Games' hit battle royale title by stopping by Shacknews' Fortnite home page. We also have an extensive Fortnite strategy and guide hub for those players interested in learning more about Season 5 challenges, errors and bug fixes, new Item Shop additions, and more.